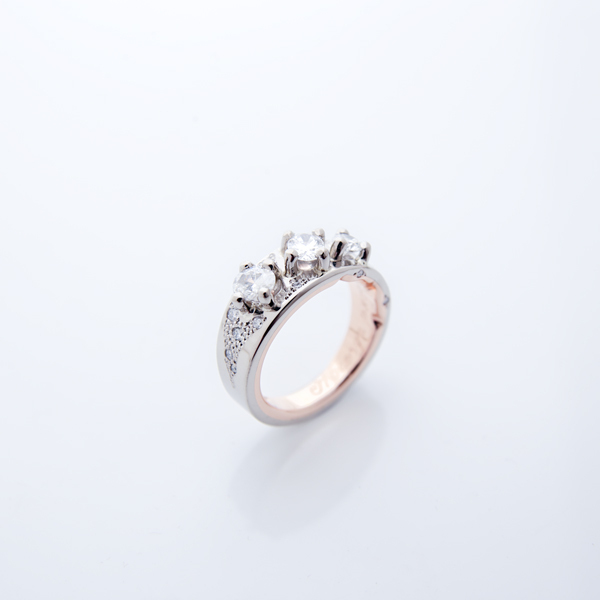 This gorgeous engagement ring has a selection of bright oval shaped and brilliant cut diamonds jauntily set on a handcrafted 18ct white and rose gold band. A small section of liquid erosion carving on one edge of the ring. I enjoy the visual impact of setting different shaped and sized diamonds together on one ring, you should never fear asymmetry!